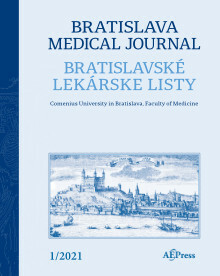 Abstract: Objective: The contribution contains a comparison of the history data of adolescent patients hospitalized at the Department of Child Psychiatry, Children´s Faculty Hospital in Bratislava with the diagnoses of Substance-Induced Psychosis (SIP), Early Onset Schizophrenia (EOS) and with Substance Use Disorders (SUD). Background: SIP is rarely recorded and little documented by the age of 18. The etiology of this disorder is still relatively unclear. Methods: The data collection was carried out from patients hospitalized between January 1, 2001 and December 31, 2012. We recorded data from 20 patients hospitalized with SIP, 50 patients hospitalized with EOS, and 50 patients hospitalized with SUD. We collected and compared the data on family history, perinatal complications, early psychomotor development, data on psychical problems before their hospitalization, and presence of unfavorable life situations in their childhood. Conclusion: The data of adolescents with SIP are more similar to the data of patients with EOS than patients with SUD in terms of the burden of family history, the frequency of complications during pregnancy and delivery, and the frequency of the subsequent early psychomotor impairment. In terms of unfavorable life situations and psychological problems for which they were monitored in a psychiatric ward before their hospitalization with SIP, their data are more similar to those of patients with SUD than with EOS (Tab. 3, Fig. 1, Ref. 21). Keywords: adolescent, substance-related disorders, psychoactive drugs, substance-induced psychosis, early onset schizophrenia.